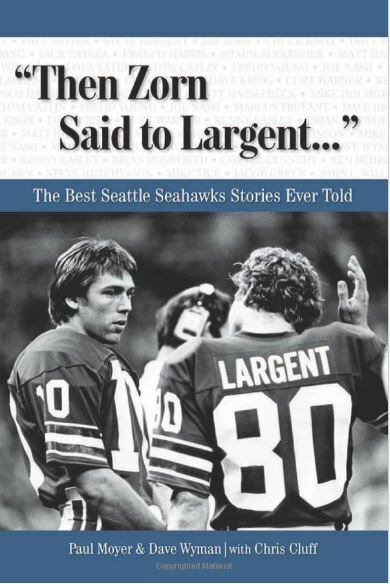 Nothing about Seattle’s season-opening loss in St. Louis should have surprised anyone. And no one should be worried that the Seahawks can’t make the Super Bowl again — even if they lose in Green Bay next week, too. As expected Sunday, Seattle’s reworked offensive line struggled against one of the NFL’s very best defensive lines, the secondary gave up some big plays and special teams made a big gaffe — all leading to a 34-31 overtime loss. Lockett was one of several new Seahawks to make big contributions in what easily could have turned into a great comeback win (the Hawks were down 24-13 in the third quarter after Austin’s 75-yard TD). New tight end Jimmy Graham was quiet in the first half, catching just two passes for eight yards. But he caught three passes for 32 yards in a 63-yard drive that ended with his 7-yard touchdown catch. He finished with six catches for 51 yards in what should end up as one of his least productive games this season. After Steven Hauschka kicked a 35-yard field goal to tie it at 24-24, new corner Cary Williams pulled off the superfecta: a sack, fumble, recovery and touchdown. Of course, Williams also was part of an often confused secondary that allowed Nick Foles to complete 18 of 27 passes for 297 yards and a touchdown. That touchdown was a 37-yarder to Kendricks in the final minute — a play made easier for the Rams because safety Dion Bailey fell down. That mistake by the first-time starter immediately prompted all kinds of quips and one-liners about the Kam Chancellor holdout — with some calling for the Hawks to pay him what he wants. As if Bailey were the only problem Sunday. Asked about the effect of Chancellor’s absence, Carroll said he was not thinking about the Pro Bowl safety and just wanted to watch film of the game so he can start correcting all of the mistakes. The offensive line made plenty of those against the best D-line in the league. 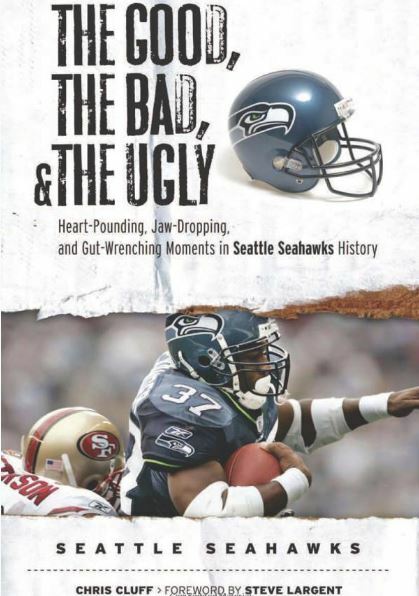 The worst was the failure to block for Marshawn Lynch on fourth-and-1 with the game on the line in overtime. Lynch was dropped for a 1-yard loss by Michael Brockers and Aaron Donald. 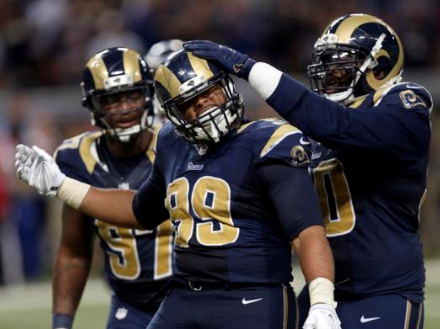 The latter was a monster all day, recording nine tackles and two of the Rams’ six sacks. Seattle’s quintet of Russell Okung, Justin Britt, Drew Nowak, J.R. Sweezy and Garry Gilliam had a rough day against Donald, Brockers, Robert Quinn (two sacks) and the rest of the Rams’ excellent front seven. The Hawks did their best work when they picked up the tempo, scoring a field goal near the end of the first half and scoring 10 points off drives of 63 and 75 yards in the fourth quarter. Then Williams gave them the lead with his superfecta blitz. The Hawks, who struggled to come up with takeaways for much of last season, started this one with three. So there’s a bright spot if you need one. In fact, the Hawks won the turnover battle (3-1) and time of possession (37-29) and outrushed the Rams 124-76. But they lost because they couldn’t stop Foles enough or convert in the red zone (1 for 4). Many over-reactive fans suddenly think the Hawks are horrible and have no hope. What will they think next week if the Hawks lose in Green Bay? Only three teams have rallied from 0-2 to win the Super Bowl, so obviously the Hawks will be doomed, right? 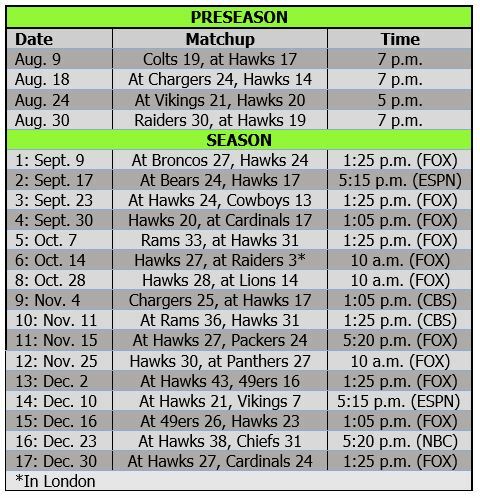 The first two games always figured to be tough and there was every chance the Hawks might start 0-2. Now, headed to Green Bay at 0-1, that looks like a very real possibility. But the offensive line and secondary both will get better quickly; the Hawks will figure out how to use Graham better; Lockett and the special teams will be a major force; and Chancellor will return in the near future. Carroll’s team will always be a contender, and they will do nothing but get better after this game. Nothing we saw in St. Louis was a surprise. And it won’t be a surprise when the Hawks flip the switch and finish with 11 or 12 wins again. Can someone write an article asking what the heck is Darrell Bevell doing? All the weapons in the world, why does he have to over complicate every play. The Hawks clearly were wary of the Rams’ front, using the shotgun for most of the game and throwing a lot of short passes. He does get away from the basics a bit too much at times, and this game was one of those.